Messes aren't pretty but at least you can clean them up with something cute! 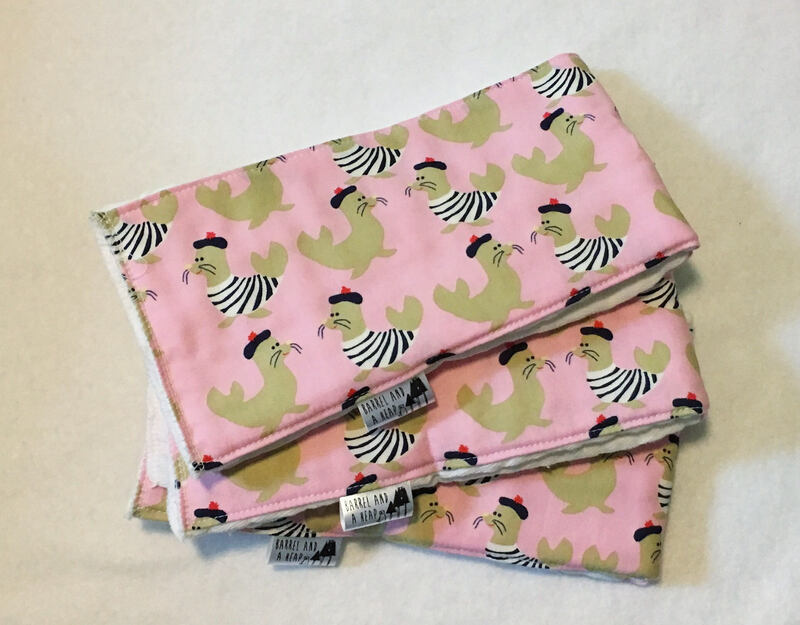 This set of 3 burp cloths is a great way to look adorable while staying clean at the same time. 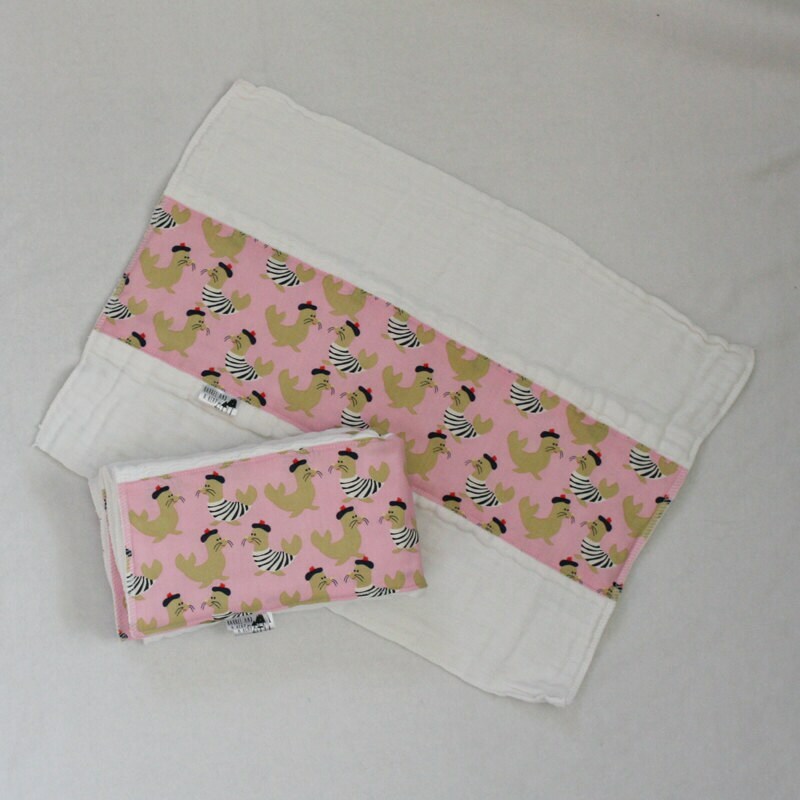 Made with functionality and style in mind- it's an all in 1 burp cloth. 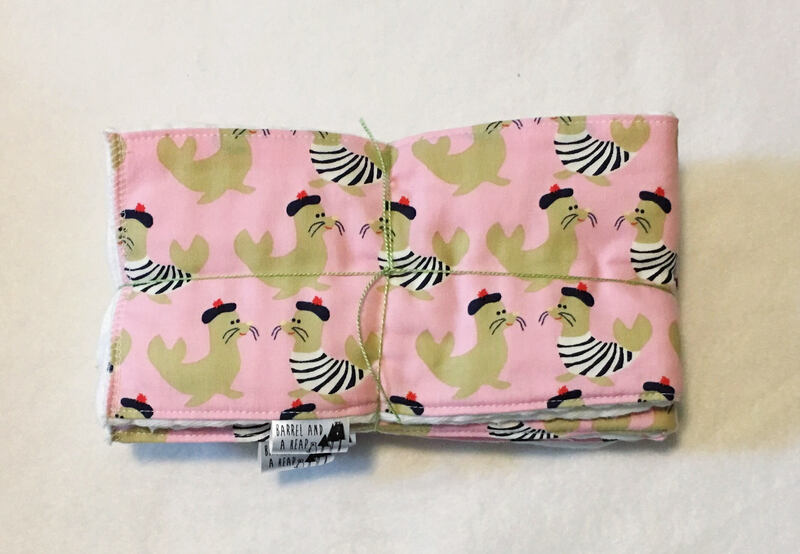 Each cover is made with a cloth diaper base and a stripe of adorable cotton in the middle. What does that mean for you? You get 4 layers of fabric for spit up protection without it looking like you're getting 4 layers of protection.